If your loved one has been injured because of nursing home abuse or negligence, you may have a legal claim. Our qualified and experienced lawyers offer a confidential and honest assessment of your case. Contact New York City nursing home abuse attorneys at The Orlow Firm for a free consultation regarding your amputation case. 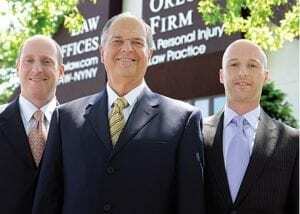 Our lawyers will handle all aspects of your case to protect your rights. We will come to you if you cannot come to us.